="*" & [Transmitters] & "*"
However, when the report gets generated only the barcode is displayed. It does not display the number under the bar code as it should. It is possible that a number of things could be causing the issue. 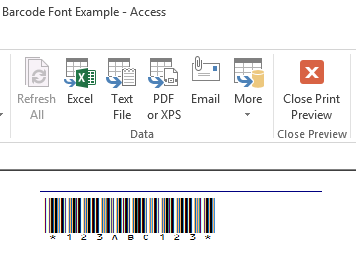 (1) Verify the field that displays the barcode is expanded large enough to display the entire barcode and human readable. 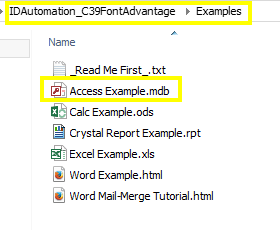 (2) Verify that the human readable font is actually selected.